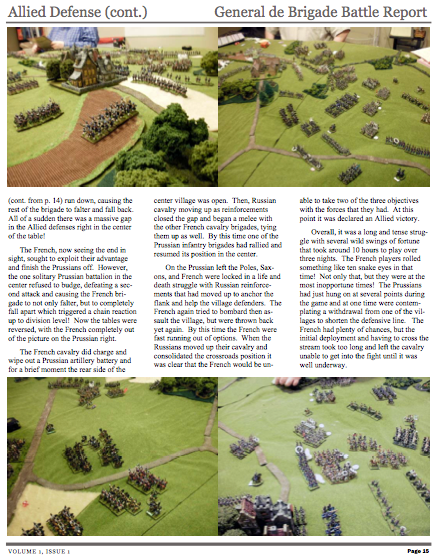 Issue 51 spends a lot of time with SaltCON 2019, which is a board game convention in the SLC area, but where our group ran multiple miniatures games such as Phantoms, BKC2, and Hail Caesar. There are game reviews for GMT's SpaceCorps, Revolution Game's Across The Narva and Pacific Fury, plus two new Engagements scenarios. 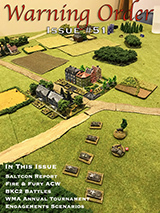 Several battle reports for Saga, F&F ACW, BKC2, and Ronin, plus an editiorial, and the usual features round out the issue. 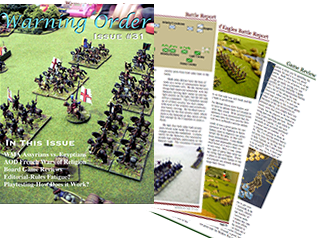 Warning Order is a free, online, full color wargames journal published by the WFHGS gaming group. 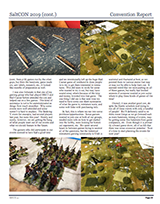 Each issue features battle reports and pictures from our games, reviews of gaming products, editorials on the state of the hobby, and many other features. Each issue runs on average from 20-30 pages and is published on an infrequent schedule, but generally three issues per year. We try to feature a good mix of games, reviews, and features that show what the club is currently interested in or what we've been playing recently. In the last several issues we've been running a new series called Engagements, which are ready made scenarios that can be used for a number of periods. Occasionally we will also include a short set of campaign rules for various periods such as To The Coast for modern combat or To Naples for the Renaissance era. 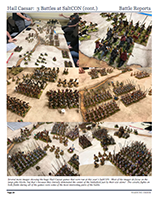 Hopefully, most of the features will be interesting to board and miniatures gamers or at least inspire them to try some new rules, products, or board games that they might not ordinarily be interested in. 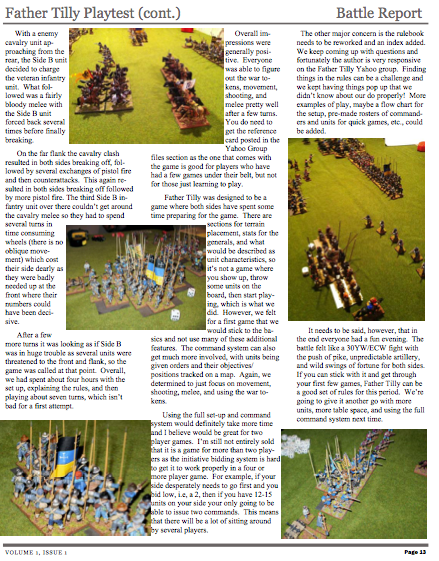 Feel free to email us with any ideas about features we can do for the magazine and we welcome articles that fit with the general content of the magazine. The first issues of our magazine were a bit crude to say the least and were pretty much for our immediate club members, so we suggest starting with the current issue and then work back if you're interested! We hope to some-day consolidate the older issues into a single PDF file with bit of cleanup as well. Click on the links below to load the older issues.